Registration is coming to a close! Less than three weeks until the Continuums of Service Conference begins and registration closes on March 24th! This year's conference theme, Elevating Higher Education for the Public Good: Commitment|Action|Impact, provides a platform through which colleges, universities, and community partners can help raise the profile of public good values and practices in higher education. 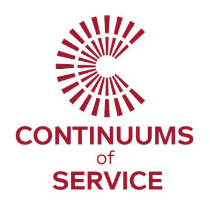 If you're planning to join us on April 6-8, 2017 at the Continuums of Service conference in Denver, then there's no time like the present to get registered. Click here to link directly to the Eventbrite registration site.